Well it looks like the good ol’ CIA is busy getting revenge for those 8 members who were killed in Afghanistan back in December. The Times gave this some pretty good coverage, certainly emphasizing the “revenge” aspect of these new US attacks – but in the process gives us some darkly funny quotes. “For the C.I.A., there is certainly an element of wanting to show that they can hit back,” said Bill Roggio, editor of The Long War Journal, an online publication that tracks the C.I.A.’s drone campaign. After the Khost bombing, intelligence officials vowed that they would retaliate. One angry senior American intelligence official said the C.I.A. would “avenge” the Khost attack. “Some very bad people will eventually have a very bad day,” the official said at the time, speaking on the condition he not be identified describing a classified program. The assault has included strikes on a mud fortress in North Waziristan on Jan. 6 that killed 17 people and a volley of missiles on a compound in South Waziristan last Sunday that killed at least 20. Does this seem crazy to anyone else? Oh my God, not again! What kind of headline is this, New York Times? “Taliban Leader May Have Been Target of Drone Strike”. What does that mean, may have been? You really don’t even know who the target was supposed to be? But nonetheless it killed “at least” 10 civilians. Several Pakistani security officials said there was no word on the Taliban leader. “The important thing for us is whether Hakimullah is among those killed,” said a Pakistani official in South Waziristan. A Pakistani intelligence official added that he believed Mr. Mehsud was “definitely targeted” on Thursday. Right, that’s the “most important thing” – getting this one guy who may or may not have been the target of this recent strike. Well, according to this guy he was “definitely targeted”. But the state department has other ideas. A United States intelligence official said he could not confirm that Mr. Mehsud had been killed. Great! Anyway, we’ve been trying to kill this guy before, right NYT? American officials have been trying to kill Mr. Mehsud with drone strikes, but there was no immediate confirmation from American authorities that he had been the target of this attack, which struck a compound in a remote region near the border of the South Waziristan and North Waziristan tribal areas about 7 a.m. on Thursday. In April of last year he escaped unhurt when an American drone struck a militant training camp in northwest Pakistan. So that’s our strategy? Just play whack-a-mole with these killer flybot drones and hope we nail this guy? What about, you know, the civilians in the area? I guess they don’t matter. The New York Times’ jingoist At War blog gives us a fantastic proposition, starting with the observation that Yemen is not the only “haven” out of which Al Qaeda might operate. But there is nothing new about Yemen. It has long been a base for Al Qaeda. Osama bin Laden’s family comes from Yemen, the U.S.S. Cole was attacked in Yemen in 2000, many Yemeni fighters were either killed or captured in Iraq, and, during the last decade, the US has helped the Yemeni government fight. But there are many havens for radical militants who follow the violent tenets of Al Qaeda — from North Africa to Europe to Asia. Today, the front line of the war against terror can be anywhere in the world. Mr. Abdulmutallab was radicalized, recruited and trained in three continents before attempting to explode the Detroit-bound plane. The war against terror did not begin with the Bush administration and it will not end during President Obama’s. The battle has started, but I do not see any end. The release of Guantanamo’s prisoners has not helped to deter attacks. President Obama’s use of soft power, the withdrawal plan from Iraq, his Cairo speech, his alteration of the semantics of war, by dropping the term “war against terror,” have not stemmed the flow of would-be suicide bombers. Imagine! A slight change in semantics (following no real change in murderous policy) failed to staunch the anger against the US! Who would have thought? The U.S. cannot unilaterally wage this war. The war against terror is universal; it has no specific zone because the entire world is its war zone. Who will be the next: Yemen or Somalia or Nigeria, or…….? It is a long list. This is one of the most insidious articles I’ve ever seen out of the Times. How could we forget our friends across the Arabian Sea: those poor impoverished Afghans on whom we are doing our darnedest to bestow our patented, copyrighted gifts of “freedom” and democracy”! Do they not deserve some New Year’s fireworks? Well, worry not! The US government is happy to oblige. Reporting from Kabul, Afghanistan – An Afghan provincial governor said Monday that an apparent U.S. airstrike killed 10 Afghan civilians, and President Hamid Karzai — who has harshly criticized such incidents — ordered an immediate investigation. 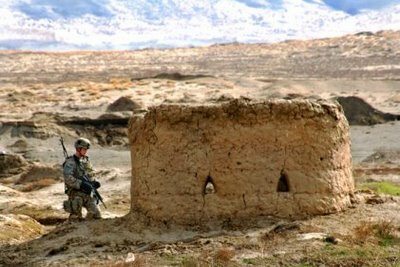 If the reports are borne out, it would be the most serious instance of Western forces mistakenly killing Afghan civilians in months. Oh, what a fanciful drama now playing out in the Karzai cabinet, what a precise farce! The US openly supported Karzai during his 2009 electoral fraud, largely so that he could continue supporting the US presence in his country. But, of course, Mr. Karzai has his electorate to worry about, even though he regards them with utter contempt. Thus the public condemnations of US “aggression”, the constant criticisms of such “incidents”, but no real action of which to speak. It seems clear that the US has entered a secret agreement with Karzai, just as they have with the Pakistani government. The deal is simple: the United States gets to pummel Pakistani villages with drone attacks, while its government (head by Zardari) makes pious noises “condemning” the attacks. Meanwhile, however, the two governments work together (behind the scenes) to make those attacks possible. If true, this would certainly explain the US government’s consistent support for a corrupt heroin dealer known as Hamid Karzai. Curiously missing from Obama’s speech last week, save for some vague references to our “success” in Afghanistan being “inextricably linked to Pakistan”, was the increase in “drone” attacks that shall be visited upon that unfortunate desert. Obama thinks most of “Al Qaeda” (or perhaps “The Taliban”) is hiding out in Pakistan. But Obama cannot “go in and get ‘im” like his cowboy predecessor because of the small issue of Pakistan’s sovereignty. So instead he pummels them with flying death machines (euphemistically, “drones”), indiscriminately bombing villages and murdering, on average, 10 civilians per strike. So long as he can claim that some “terror leaders” were killed (no need to specify whom – nobody’s checking anyway), the civilian deaths can conveiently fall under that humanitarian heading of “collateral damage”. The Pakistani government officially speaks out against flying death machines attacking its citizens, but privately they have come to an agreement with the US military that so long as the dollars keep flowing, they won’t register any serious complaints. After all, the US just tripled aid to Pakistan, mainly to keep the Pakistani government quiet while the US butchers its citizens. The Boston Globe picks up on a massive new influx of US cash into Pakistan, a story which the New York Times and Washington Post considered beneath their purview. All told, an extra $7.5 Billion will be bestowed upon that poor desert. it also authorizes “such sums as are necessary” for military purposes, provided they use them to “combat terrorism”. A veritable blank check. This new influx of aid comes on the heels of a previous $10 Billion to the disgraced Musharraf government, and seeks the reduction of anti-American sentiment in Pakistan. But if that be the case, our strategy planners might have done well to check this opinion poll by the International Republican Institute. In it, one finds an overwhelming rejection on the part of Pakistan’s citizens, not only to US bombing of their country, but of the US as an ally against terrorism. Fully 80% answered “No” to the question: “Do you think that Pakistan should cooperate with the United States on its war against terror?”, whereas 76% said “No” to the question: “Should Pakistan partner with the United States in conducting drone attacks against extremists”? 50% of those responding thought religion should play a “dominant role” in politics. Amid such dismal approval ratings, it is easy to see why our policy planners should wish to buy off the Pakistanis off. But that we should force military aid and assistance against a people who so manifestly do not want it is still rather puzzling. As best as one can tell this aid influx appears a half-hearted apology for our continued attacks on Pakistani villages (close to 15 villagers per week die by our Predator Drones), and would likely serve to insure further cooperation, should ground troops prove necessary.